DeSantis wants loosen limits on treatment center licenses, saying voters spoke clearly when they approved medical marijuana in 2016. DeSantis also said he wants the amended law to address licensing limits that are also subjects of lawsuits. Republican Florida Gov. Ron DeSantis criticized the Legislature’s implementation of a medical marijuana law and said Thursday that if they don’t fix it quickly, he’ll take matters into his own hands. DeSantis wants a new law by mid-March that will end a ban on smokable medical marijuana and loosen limits on treatment center licenses, saying voters spoke clearly when they approved medical marijuana in 2016. 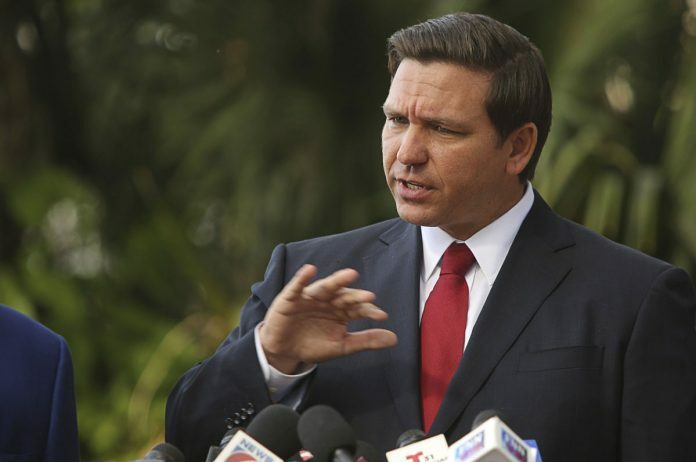 If the Legislature fails to act, DeSantis will drop challenges to lawsuits on both those issues, effectively letting the courts resolve them instead of lawmakers. He said he would prefer not to do that. “I want to have the elected representatives write the law in a way the people intended, so we’ll give them a couple of weeks in session to address the smoking issue, and if they don’t do it, we’re going to dismiss the case and move on,” DeSantis said. He addressed the media in Winter Park, near Orlando, standing alongside personal injury John Morgan. Morgan led the effort to put the medical marijuana constitutional amendment on the 2016 ballot. It was approved by more than 71 percent of voters. A circuit court judge ruled in May that the smoking ban is unconstitutional, but then-Gov. Rick Scott appealed the decision. DeSantis replaced fellow Republican Scott, who is now a U.S. senator, earlier this month. “Governor DeSantis has indicated that he prefers a legislative solution rather than a judicial order to bring the issue of implementation of the amendment to a conclusion. A legislative solution has always been my preferred course of action, and we will certainly honor the Governor’s request,” Galvano said. Democratic Sen. Gary Farmer filed a bill to allow smokable medical marijuana shortly after the DeSantis announcement. “I would like to commend Governor DeSantis for his willingness to lead on this issue where past administrations have showed a lack of courage,” Farmer said in a press release. Agriculture Commissioner Nikki Fried, who campaigned on making medical marijuana more accessible, said she wants quicker action on smokable medical marijuana. The annual legislative session begins March 5.